GOT817-834 is a stainless steel fanless touch panel PC specially designed for food processing applications. 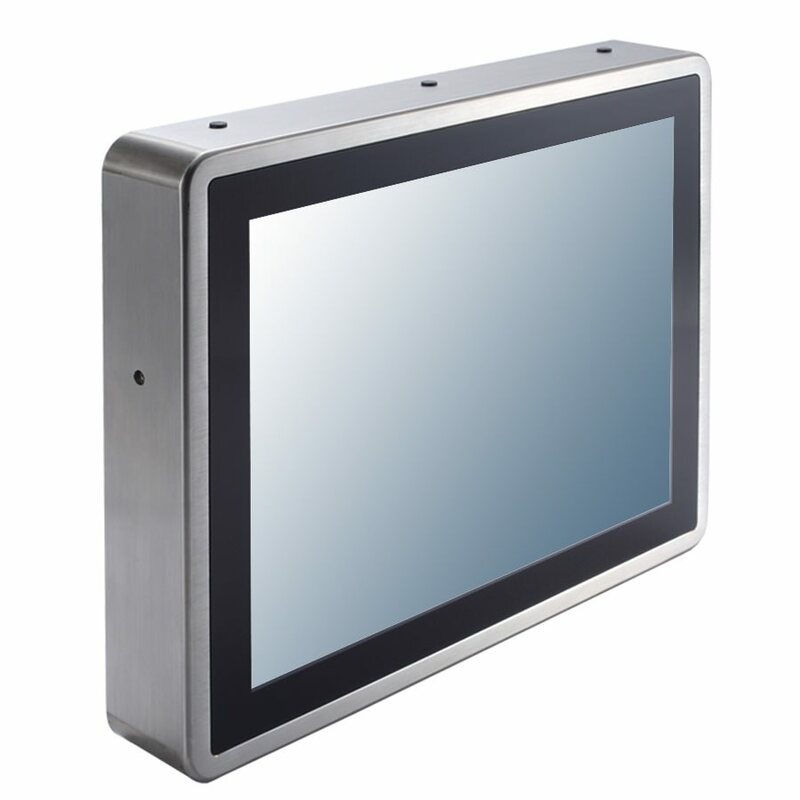 Its IP66/IP69K stainless steel enclosure protects entire system from damage of water, powder and dust. It supports Intel Atom E3827 1.75GHz dual core processor, 17" 1280x1024 350nits LED backlight resistive touch screen, one M12 gigabit Ethernet port, four USB2.0 ports and two M12 COM ports. It also supports Microsoft Windows operating systems. GOT817-834 is suitable for a wide range of industrial and commercial applications in the market, such as food factories and kitchens.